Black Galaxy - A1 Granite & Marble Ltd. Prevalent Colours: When observing the granite countertop from afar, black is the dominant nuance in the stone. Subtle Colours: A closer inspection of the stone allows for numerous sparkling silver speckles to captivate the viewer’s attention. Pattern: The sparkling silver speckles are consistent across the entire countertop. 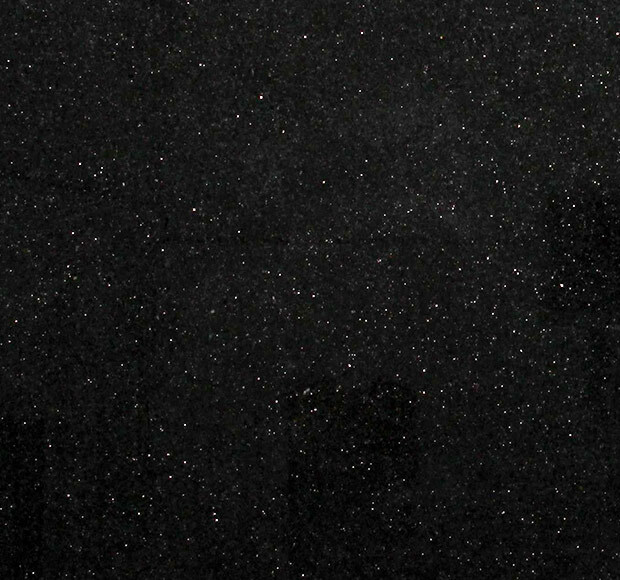 They are the most attractive feature of this granite color and they make the black galaxy colour truly unique.